You may be asking yourself how boundaries and detachment relate to your problems. Having weak boundaries and being too fused with other’s emotions are core components of a pattern of relating to others known as codependency. Codependency is a term used to label a certain set of beliefs, patterns, and behavior. It’s a tough term to wrap your head around, as no standard definition exists. I’ve captured over 15 definitions of the term, which you can read more about here. While codependency may be hard to define, it’s something skilled therapists can recognize and treat when they see it. The goal of this page is to help you recognize if codependency is contributing to any of your current problems. Some clients call me for a variety of things—trauma, relationship issues, overwhelm, depression, anxiety, parenting, family issues, etc., and when I mention that codependency might be at play, they balk at the word, shut down, or look confused. Almost all of these clients, over time, have realized that they struggle with some of the core symptoms of codependency and have found healing with the Post Induction Therapy Model. Other clients tell me they found me by googling “Denver + Codependency + Pia Melody + Post Induction Therapy” – these are the clients who have an understanding of the concept of codependency and know they want to heal their codependent struggles. They seek me out because of my extensive training in this work. If you find yourself in the first category, I encourage you to take a moment to read through this page. Just stay curious. Too impatient to read through this? You can jump to my quiz to see if codependency is relevant to what you’re experiencing. Curious if codependency is contributing to your problems? Take my quiz below to find out. Pia Mellody, a pioneer in codependency, interviewed people whose childhood histories included abandonment, neglect, less-than-nurturing parenting practices, and enmeshment with a parent, their parents’ marriage, or the whole family system. What does Codependency look like in real life? A common problem I hear from my clients is being unable to say no to others. They pride themselves on being helpful and going above and beyond. When this pattern of always putting others first persists, they end up overwhelmed and resentful. When other people notice their sour attitude and ask about it, their response is likely to be a tense, “I’m fine” … because their number one priority is to not complain, not show weakness, and not share their true feelings. Another common experience is drowning in their family’s drama and feeling hopeless to change the constant fighting, tension, and bickering in their family. They are tired of going home for holidays and feeling unheard, unseen, and unappreciated. They have a desperate determination to not repeating these family dynamics with their own children and families, yet find themselves slipping into those dynamics more than they’d like. They get swallowed up in other people’s emotions, so when their best friend, boyfriend, spouse, or Mom/Dad/Sis/Bro is sad or mad, they can’t help but feel anxiety and fear about this, because they think it’s their responsibility to fix it. They know that trying to fix the situation will help them feel better, so they get involved in the latest drama even if they aren’t directly involved. Clients often call me for parenting help, telling me they can’t control their 5-year-old, or that they haven’t slept in 10 years because their kids need them to engage in nothing short of a circus to get them to go to sleep and stay asleep. They end up yelling a lot and worry they’re hurting their children as their parents hurt them. They’re exhausted and don’t know how to shift the cycle of stress, chaos, and fighting in their family. Or they call for relationship help, unable to live with their partner but also unable to live without them. They’re exhausted from trying to control them, take care of them, and feeling let down by them. They feel like they’re working relentlessly to keep their partner happy, without these efforts being reciprocated. I can’t function unless I’m in love. Unless I’m taking care of someone, I don’t know who I am. I’ll feel happy if other people are happy with me. I walk into a room and am immediately attracted to the person who needs my help. It’s selfish to take care of myself. There’s always more to do or someone I could be helping. Everyone thinks I’m controlling and/or over-sensitive. They’re wrong — I just care. Let me repeat that: Codependency is a misguided coping skill. When we engage in codependent behaviors, we believe we are helping ourselves to feel accepted, less anxious (even if only temporarily), and in control. In hindsight, we realize this coping skill is actually making things harder and more painful in our lives and relationships. We start to experience problems socially, at work, or in our families that keep us from being truly happy. While these are positive attributes, in the end, the painful points of codependency outweigh the positives. I help people get curious about how their current problem, which may include components of codependency, may have developed so we can avoid repeating negative patterns in the future. 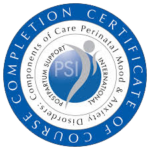 My training in Pia Mellody’s Post Induction Therapy model, Love & Logic®, Dialectical Behavioral Therapy (DBT), and EMDR have afforded me with a deep understanding of healing codependency, relational trauma, resolving parenting issues, and helping people better cope with depression and anxiety. However you define codependency, the patterns of behavior it represents are painful, and recovering from codependency feels better, restores peace to your life, and can help prevent future chaos. Curious if codependency is contributing to your problems? Take my quiz to find out. Please note: Our screens are only for adults. By clicking on a screen below, you acknowledge that the screen is not a diagnostic instrument and is only to be used by you if you are 18 years or older. You are encouraged to share your results with a physician or healthcare provider. Kindred Counseling, PLLC disclaims any liability, loss, or risk incurred as a consequence, directly or indirectly, from the use and application of these screens.